If you are dreaming about smooth skin, plump lips and cheeks, covering up your scars or under-eye circles, dermal fillers may be the answer. 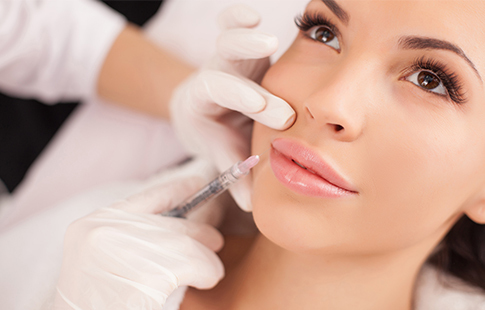 Injectable cosmetic treatments are safe and non-invasive. Dermal fillers don’t cost a fortune, so practically anyone can afford them. All you need is to find a doctor you can trust your face with, and that is where we come in! Iuventus medical center offers dermal filler injections at reasonable prices. Our specialists are highly qualified and experienced. They have already helped hundreds of patients improve their skin condition, add definition to their facial features, and restore their confidence in their looks. Make an appointment with one of our doctors and get a more rested, youthful look in a couple of minutes! Dermal fillers contain hyaluronic acid that hydrates your skin from within. You can see hyaluronic acid in the ingredient list of many modern creams and lotions but using it topically is not enough to restore the lost tissue volume. Only by injecting it, you can replenish the hyaluronic acid production that decreases with age. You can use dermal fillers around the mouth, forehead, cheeks, lips, and under eyes. Unlike Botox or Dysport, dermal fillers do not contain neurotoxins, so they do not paralyze the facial muscles. What they do is fill and smooth out the lines, making your skin look youthful and plump. What would you say if we told you that you could get the nose of your dreams in 5 minutes or less? Dermal fillers are a non-surgical alternative for a traditional rhinoplasty. Of course, you cannot dramatically change your appearance just by injecting dermal fillers in the nose. But they can help significantly improve its shape with a few injections. No surgery, no downtime, no congestion – book an appointment with one of our skilled doctors and walk out with a brand new nose! Smiling is great, but smile lines aren’t. As you age, they become more and more pronounced making you feel insecure about your appearance. If your lines prevent you from smiling freely, try dermal fillers! After just one session, your lines will smooth out, and the effect is going to last for several months. Don’t worry, the changes will be very subtle. Nobody will notice that you had any work done. No annoying questions about injections or plastic surgery – just compliments on your youthful face! Who needs eight hours of sleep when you can inject dermal fillers under your eyes? Just a couple of injections and you will look rested. How is it possible? The thing is, dark circles often appear when the tear trough loses its volume. 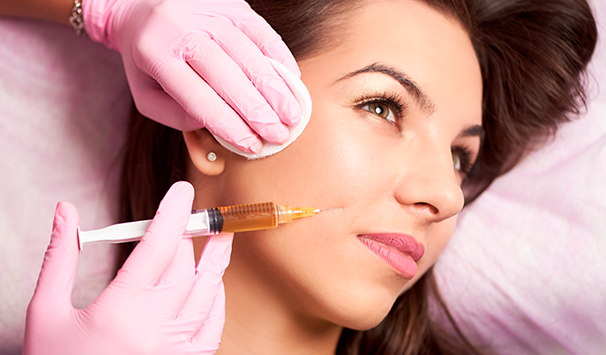 A doctor will inject hyaluronic acid to lift the skin away from the blood vessels. Your under-eye area will look puffy and red for a couple of days, but after that, it will become noticeably lighter. And you can forget about concealer! If you have any questions about the cost of dermal fillers or want to find out the details of the procedure, please contact us during our working hours.